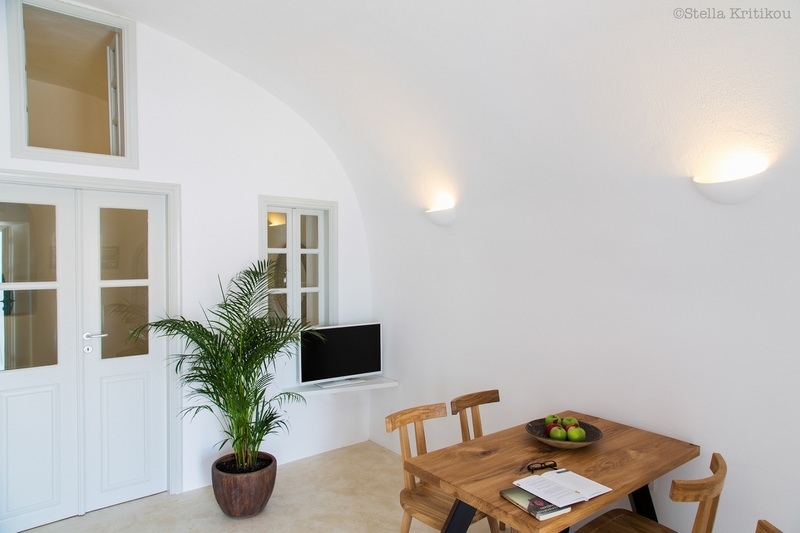 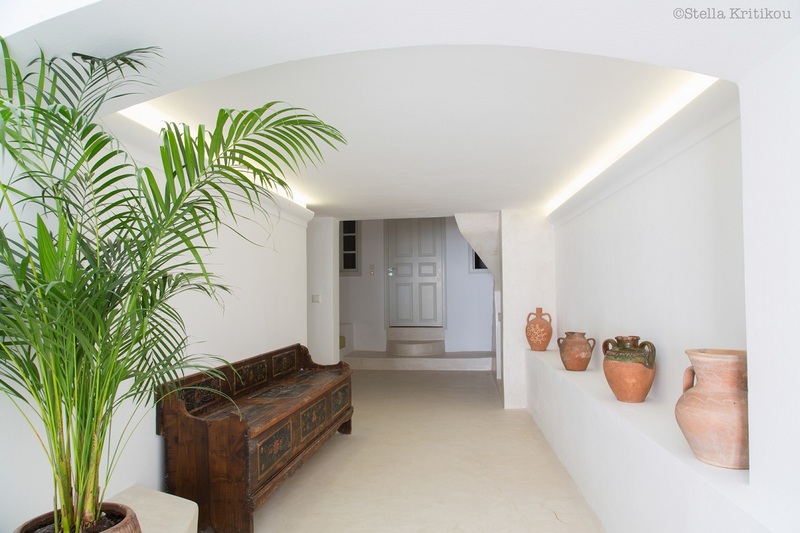 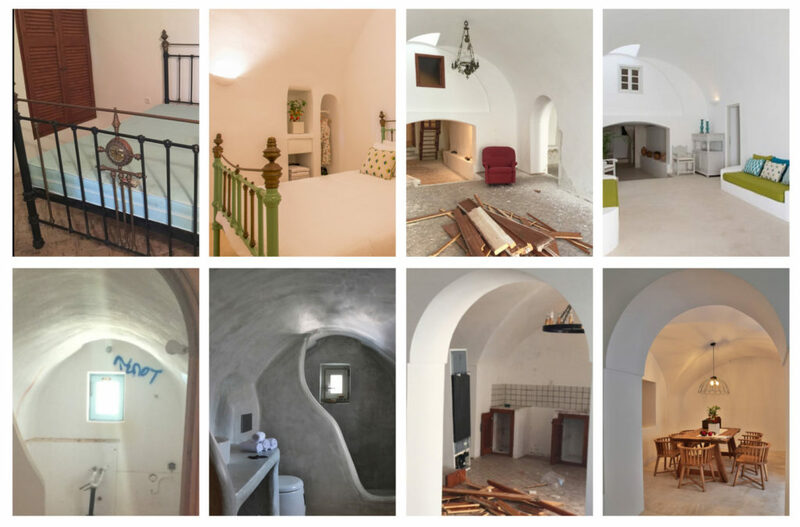 The old lavish house has been renovated and transformed into a luxurious villa, fully harmonized with the natural environment in the lively village of Messaria. 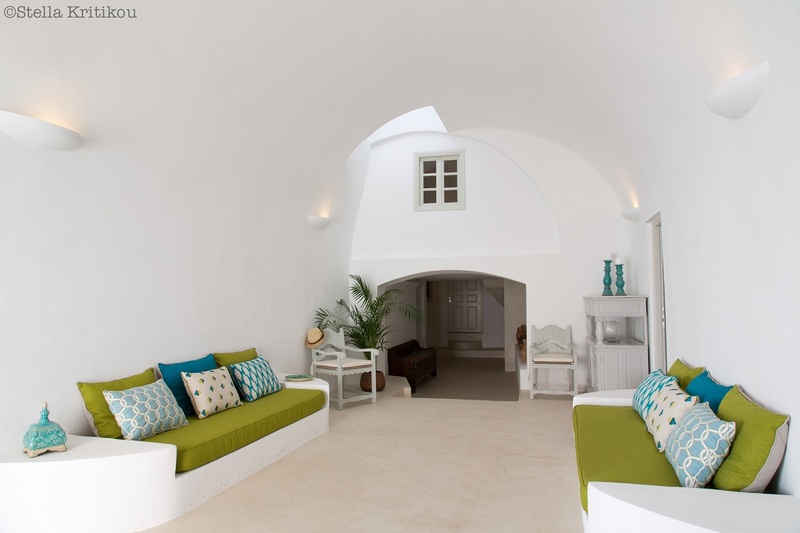 Architects main concept was to maintain the traditional island architecture and combined it with contemporary design, elegance and modern amenities in a total white scenery with the use of color as a design tool in order to give a touch of uniqueness. 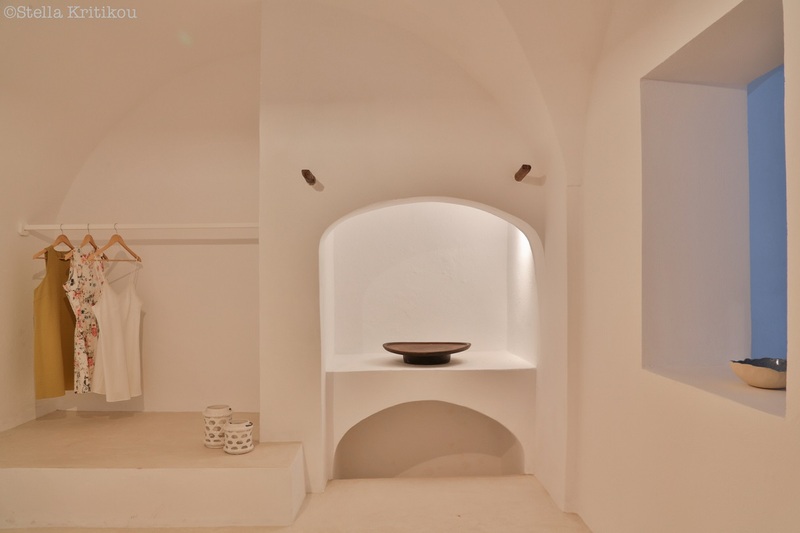 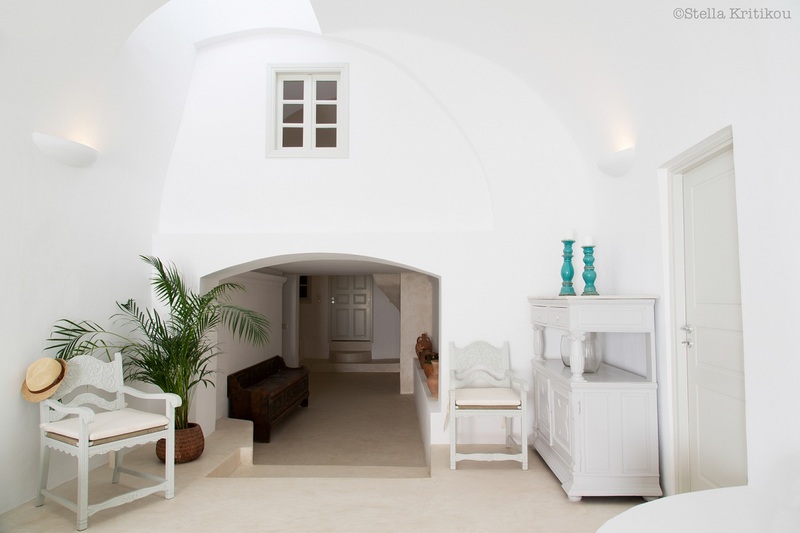 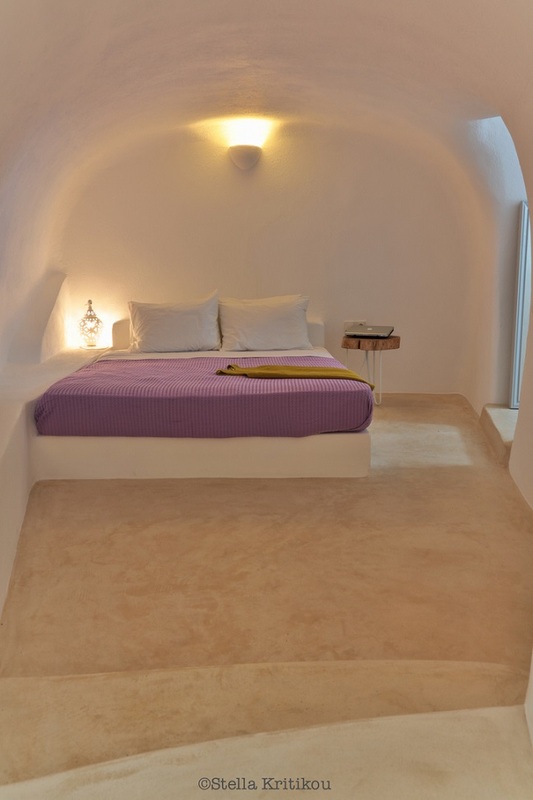 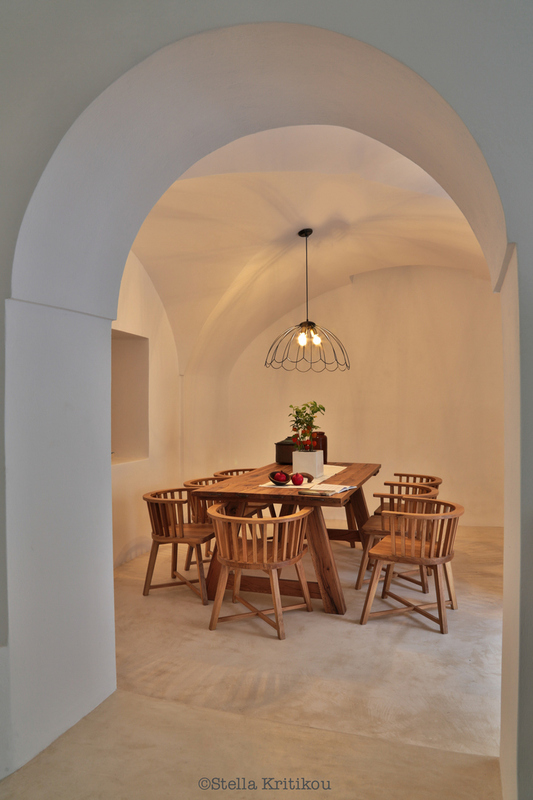 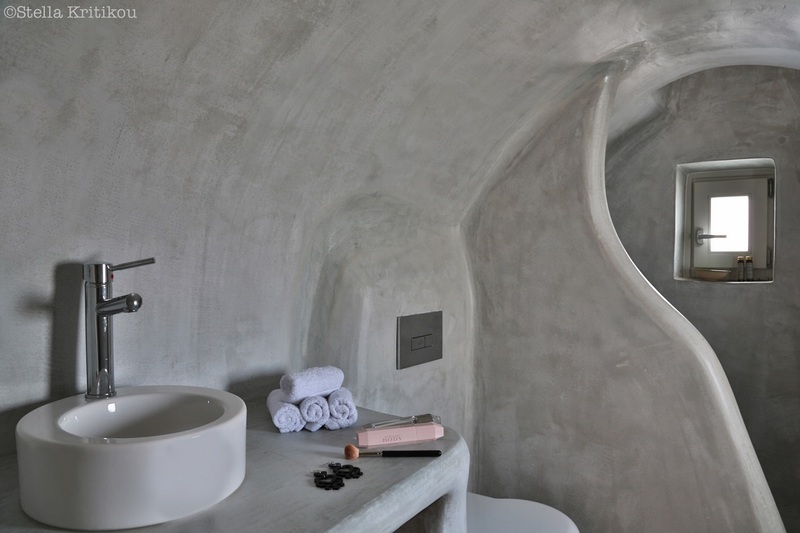 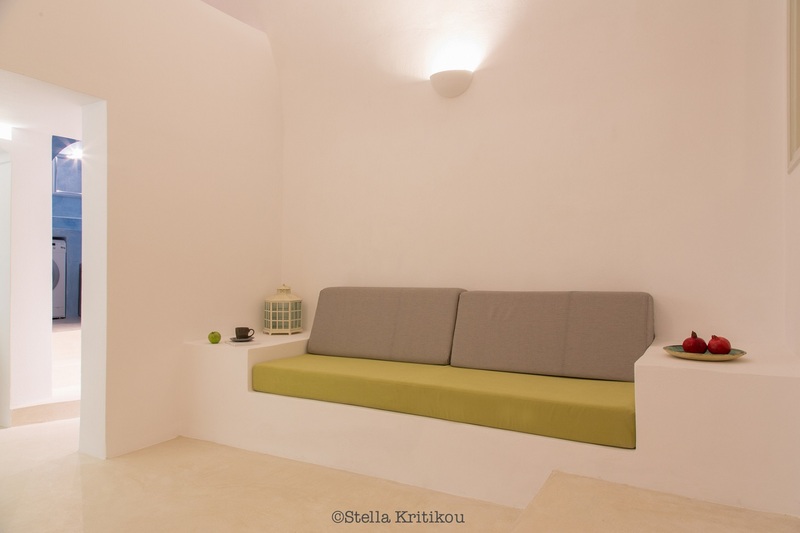 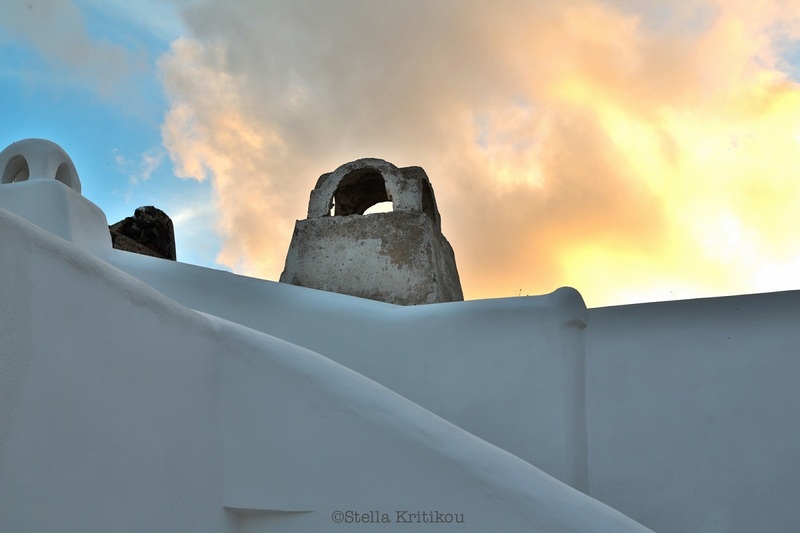 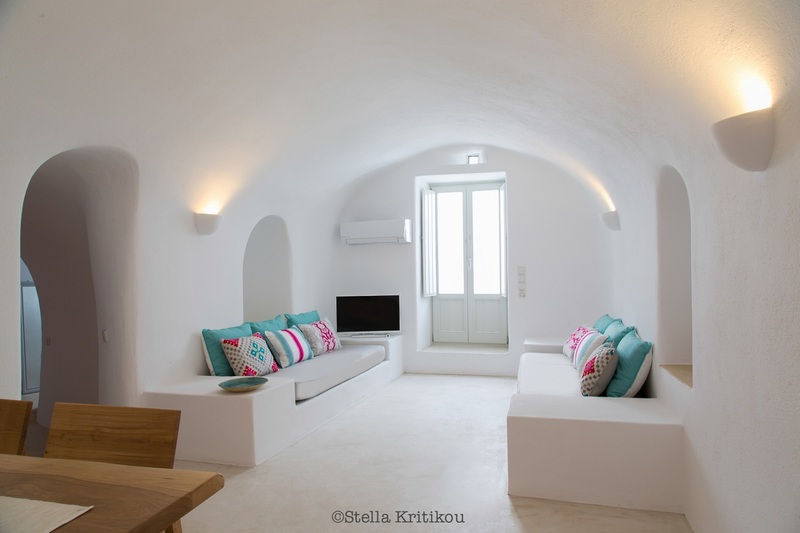 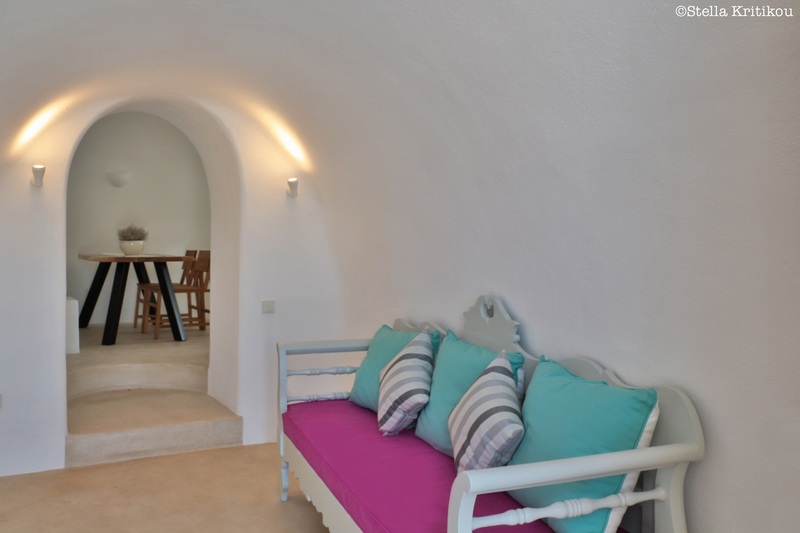 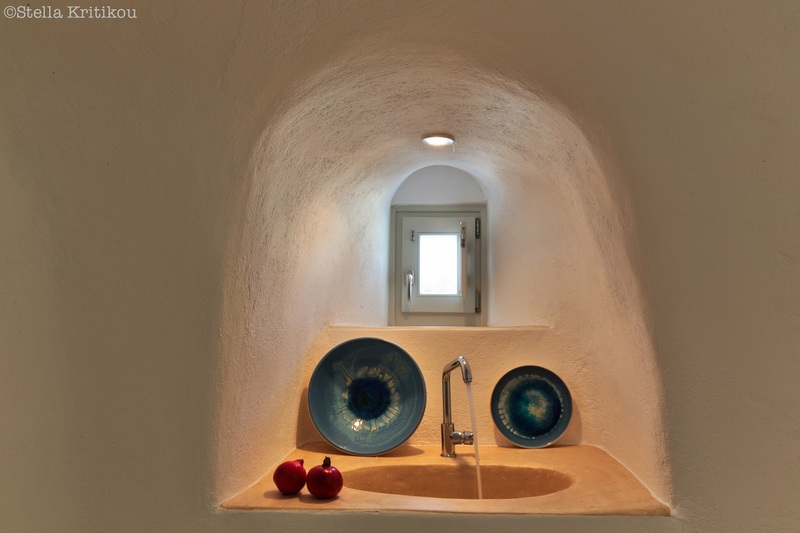 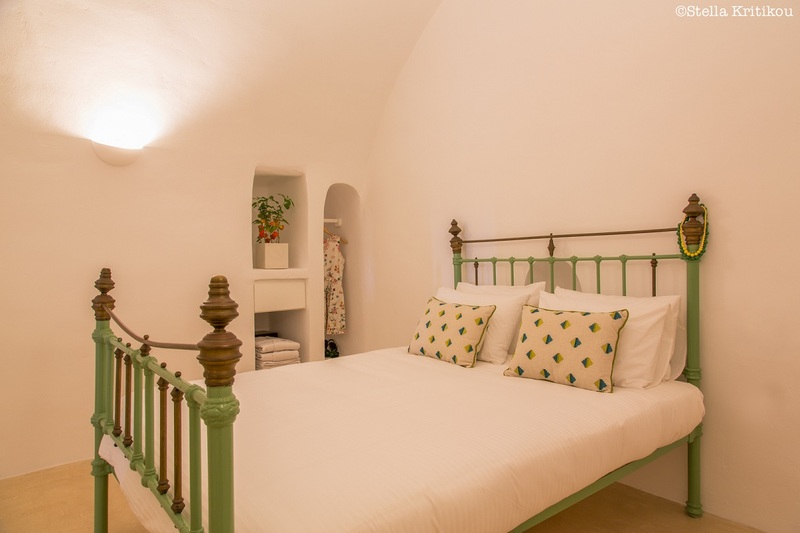 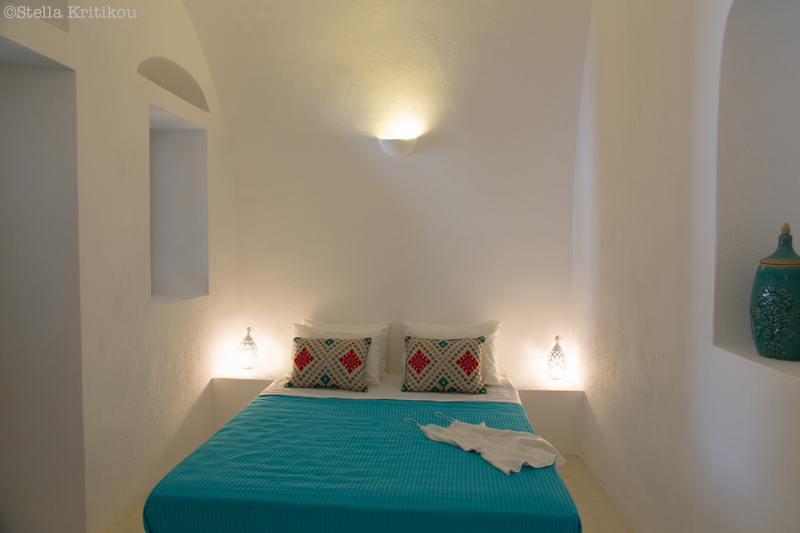 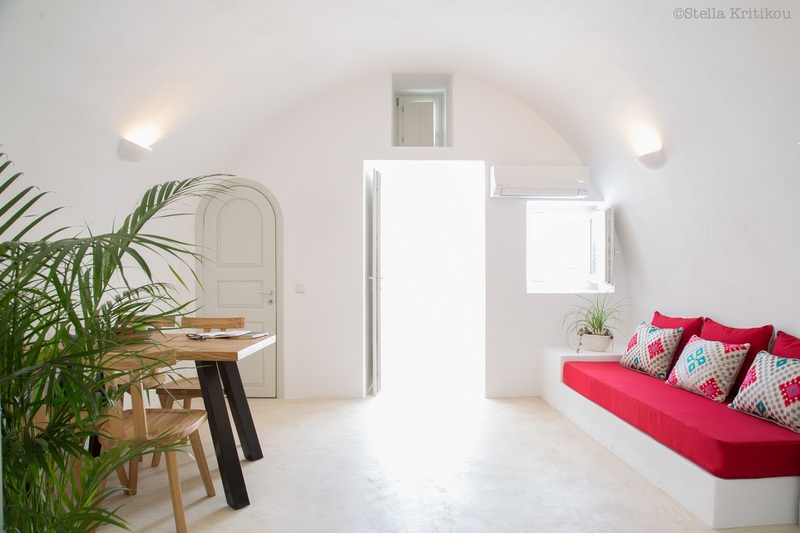 The old impressive house is located in the center of Messaria, crossroad of Santorini. 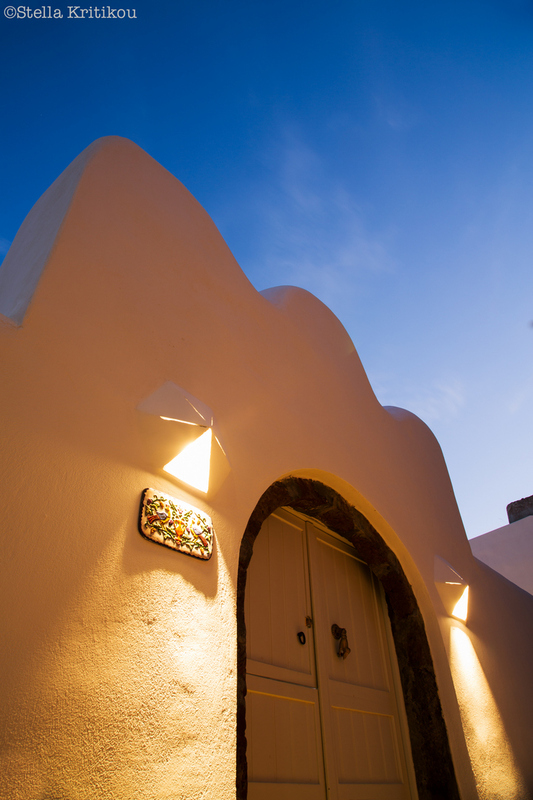 The original architecture of the village is interesting, a combination of massive houses and domed shape cave houses built into the volcano rock. 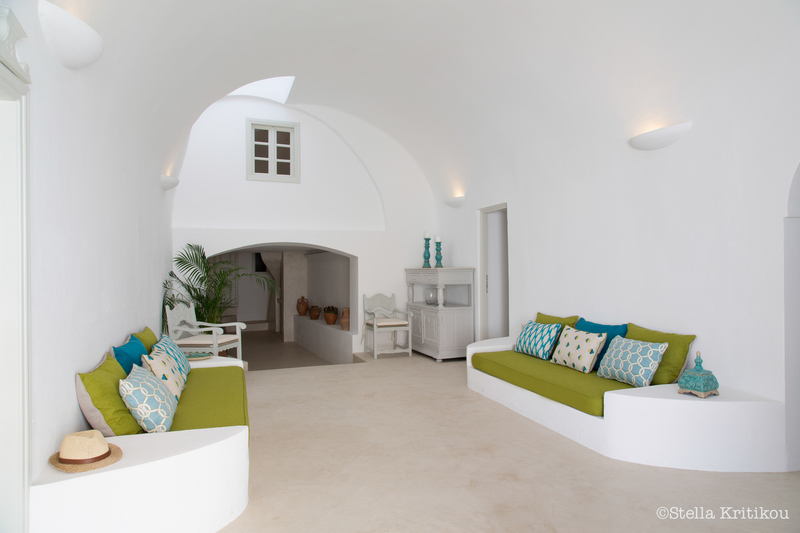 The villa consists of four traditional suites, with an inspirational color palette for each house highlighting the total white background. 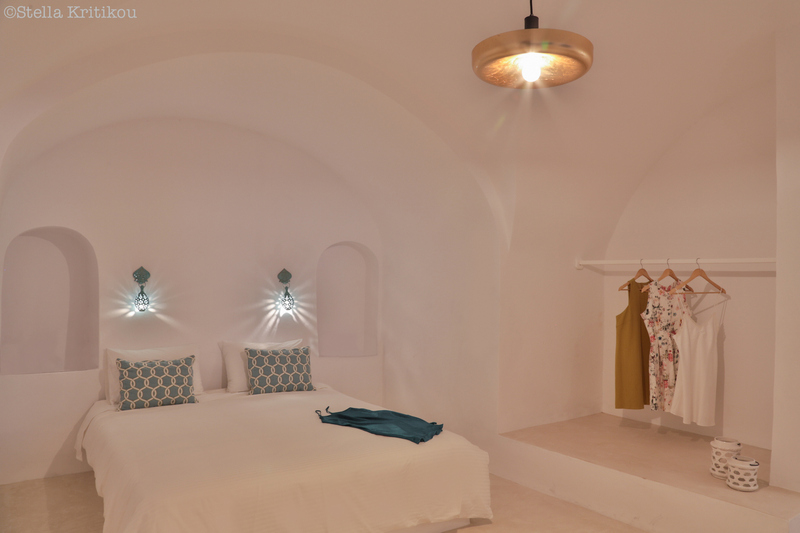 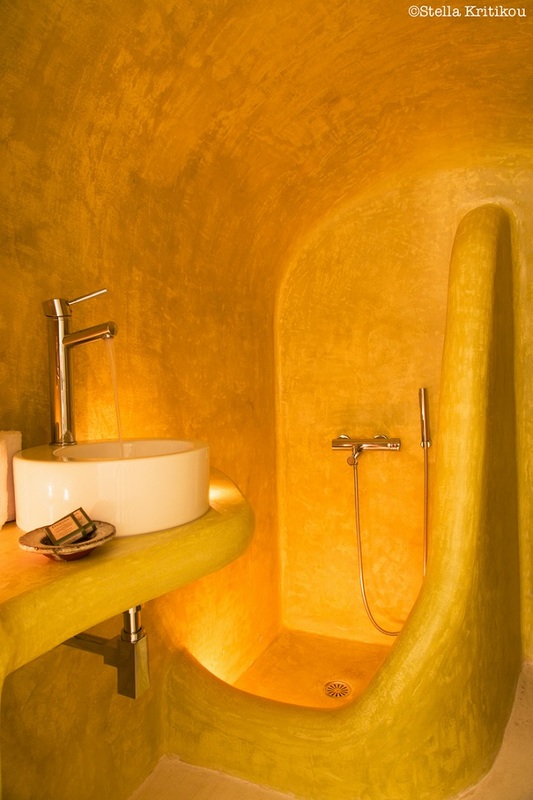 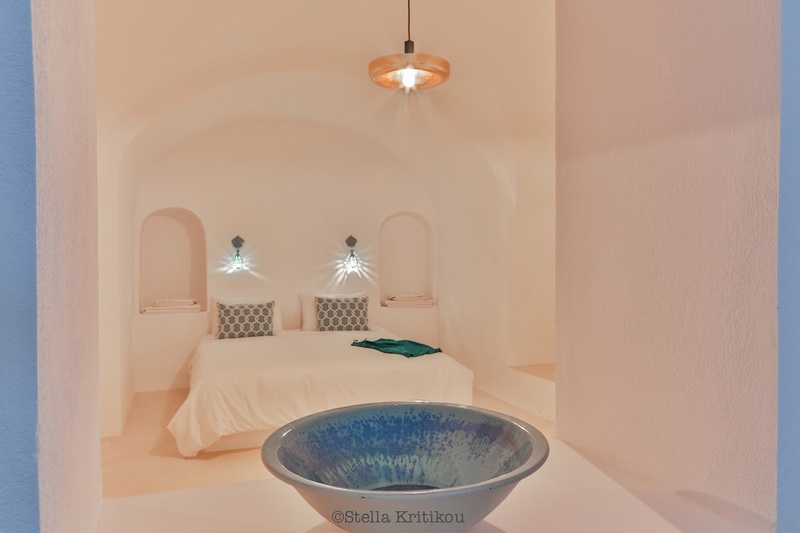 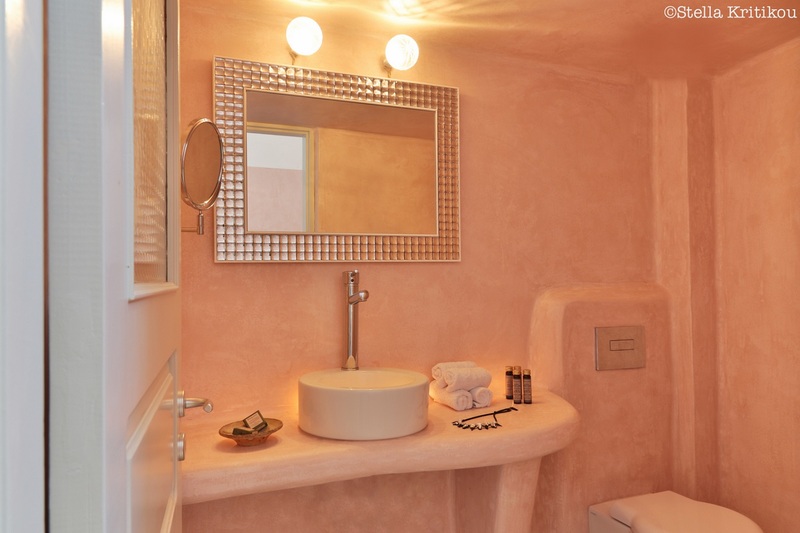 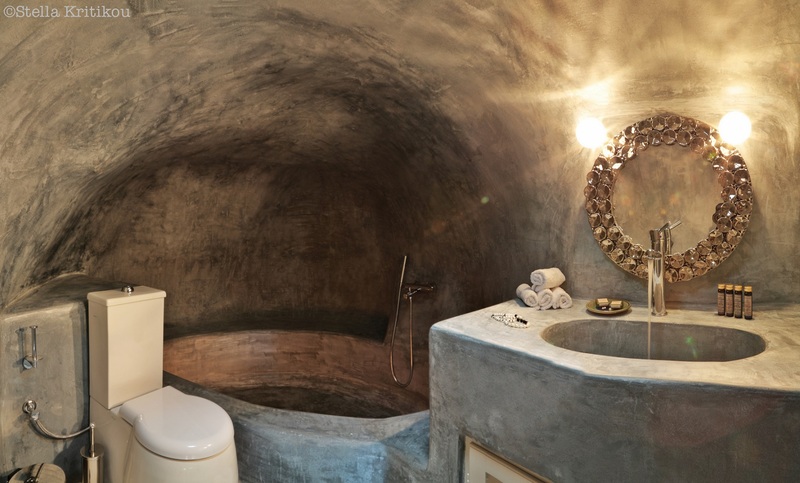 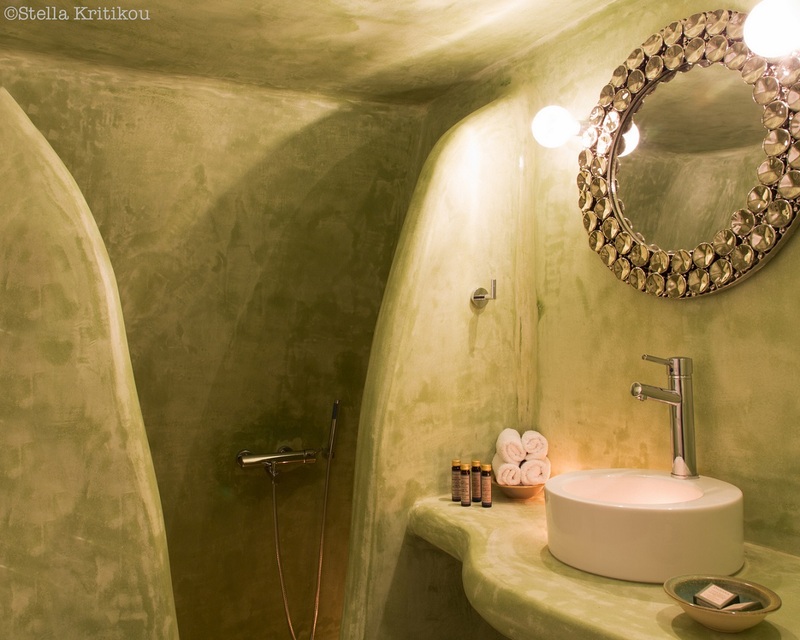 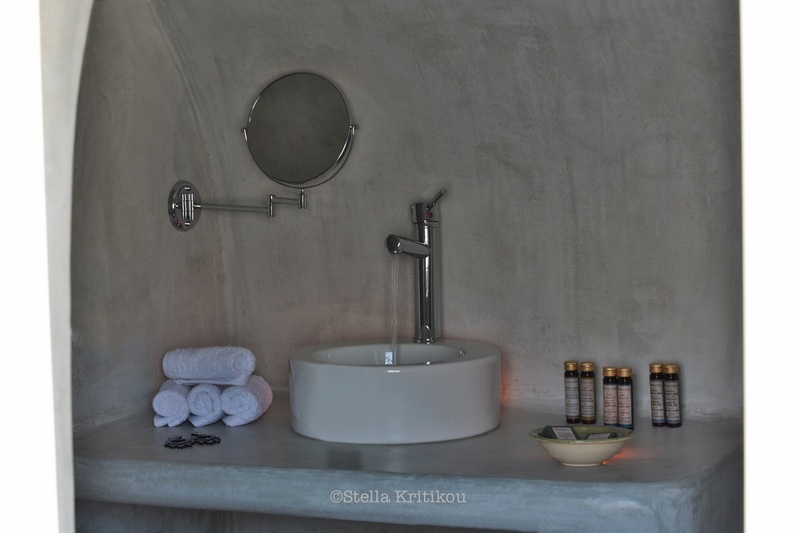 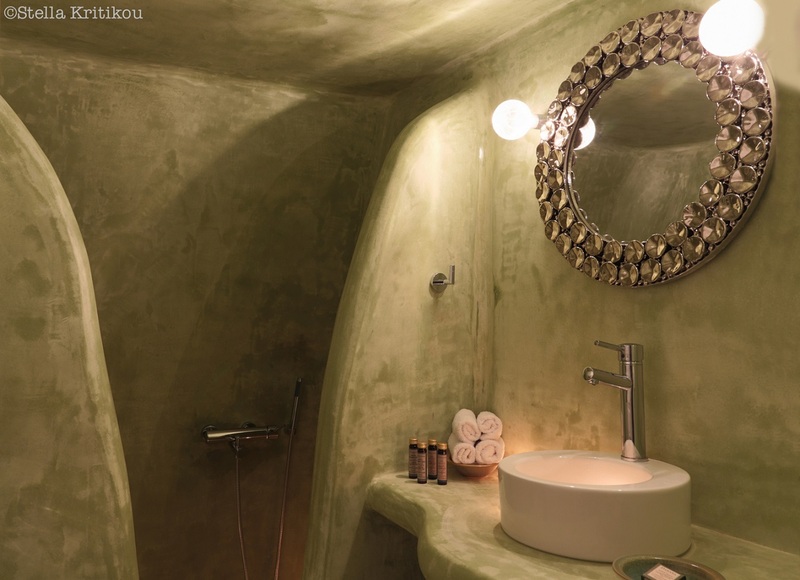 The two outdoor heated jacuzzis and two spacious patios invite guests to enjoy the energy and lifestyle of the authentic Santorini. 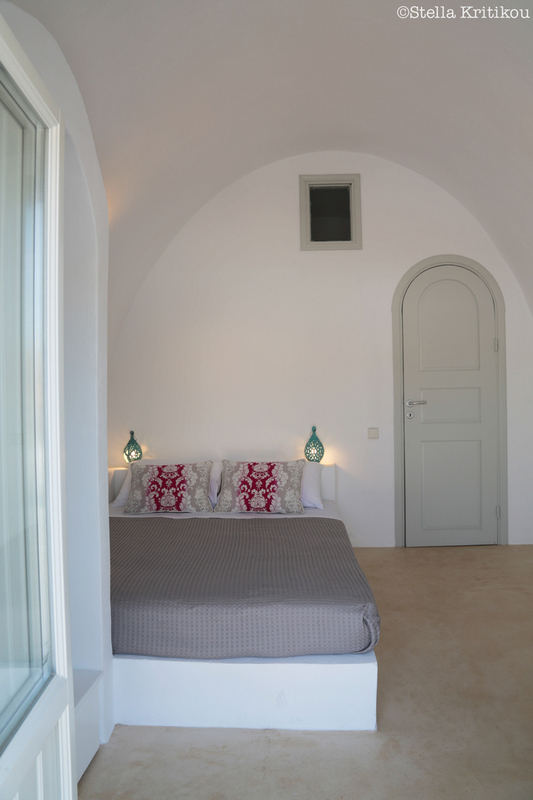 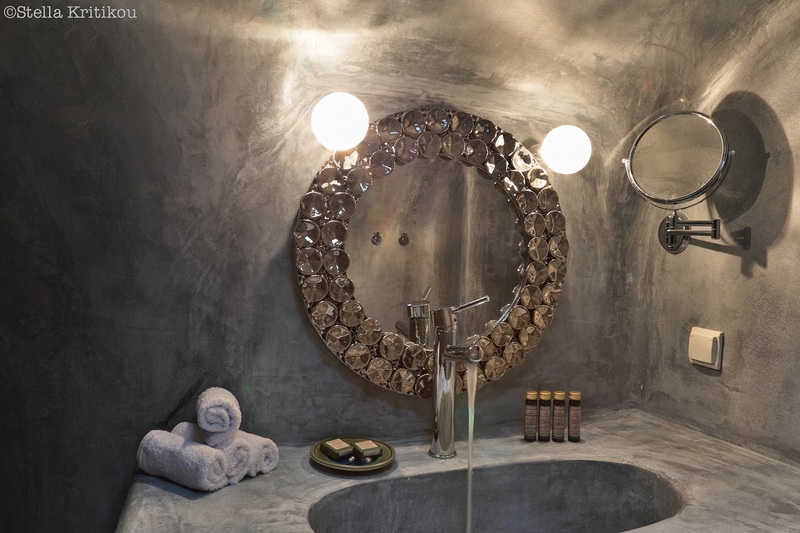 Suites are crafted with high respect for traditional architecture. 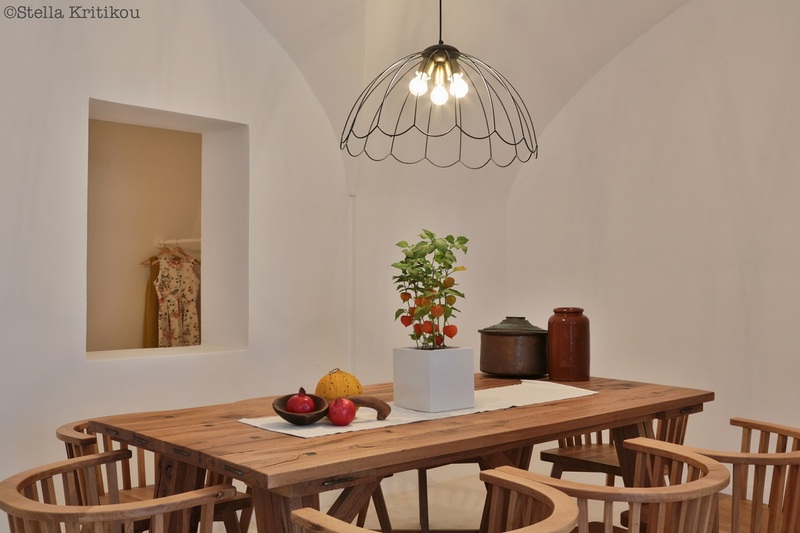 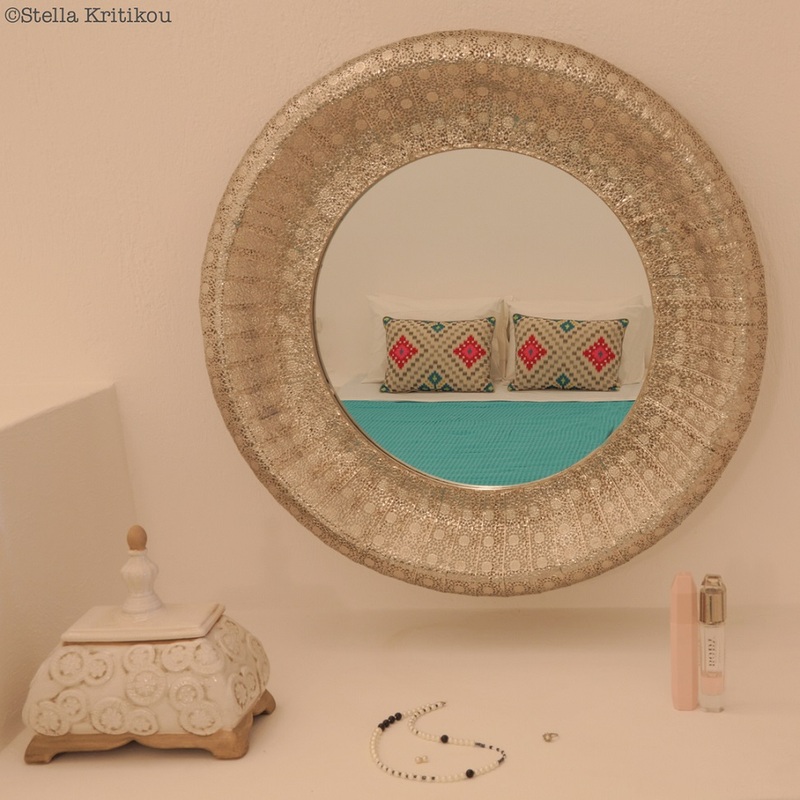 Using widely natural materials, elegant furniture with references to traditional elements (built-in beds and sofas), antiques pieces of historical and sentimental value, Oikos achieved to create a relaxing and sensational ambience indoors and outdoors. 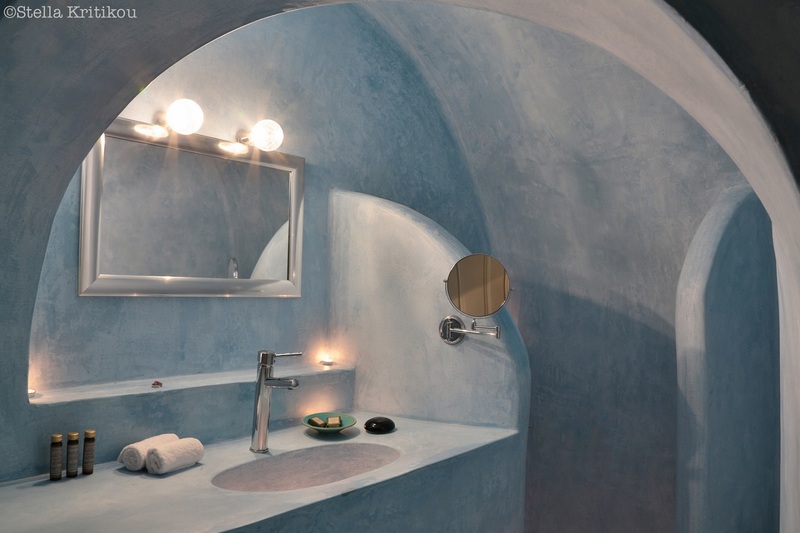 The rounded edges inside and outside of the building combined with the use of concrete, preformed into unique forms, create the illusion that the actual dimension is lost. 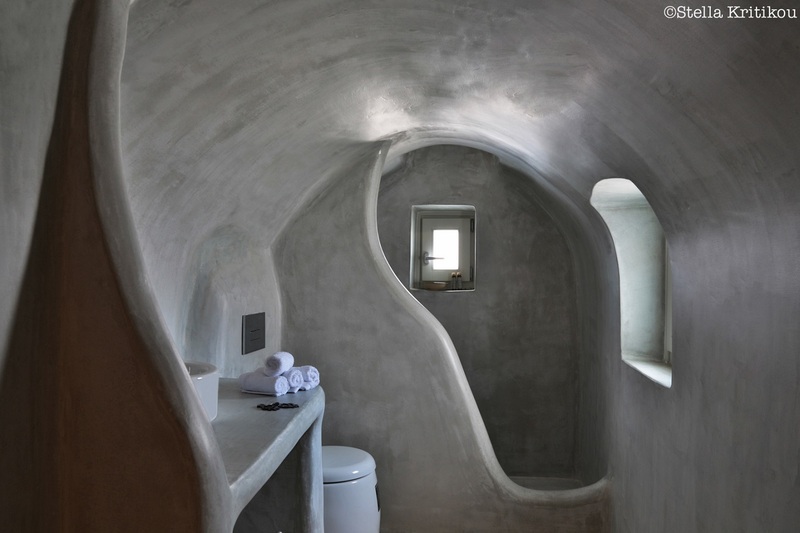 The building is characterized by plasticity and movement, the characteristic morphological feature of projects by Oikos Architecture.